Todays post is going to be on glass top stoves. How to take care of them and how NOT to break them. On two separate occasions today I had to "break" the bad news to some customers that their precious smooth top stove is going to cost an arm and a leg to repair. Two instances that could have been easily avoided. I won't complain too much though, unfortunately your pain is my financial gain, right? I am the Appliance Repair Man! I secretly tell my wife, I hope people break their sh*&, pay my bills! lol. OK, I'm done, for now. Taking care of your smooth top stove is not going to be rocket science but you will have to spend more time cleaning it then you would your standard coil burner stove. The glass of a smooth top stove is some pretty sturdy glass, but it's not bulletproof. If the stove is new, please make sure that you use the Cerama-Bryte on the top before you use it. Think of it like waxing your car. It makes it so much easier to clean when you make your first mess. This next tip is probably the most important advice to follow when owning a ceramic smooth top stove. Do not put your salt and pepper shaker on the top of the control panel. That includes your pretty little kitchen decorations that you may be tempted to fancy up your stove with. Don't do it, just don't. Of course you want to make sure your pans are flat on the bottom. If not they will rock around and potentially cause a crack to magically appear on the glass top. If the bottom of your pans have burned up whatever on them, that will leave marks on the top. Maybe not permanent but hard to clean off marks. Use caution when your putting your pots and pans on the stove. If you set them down too hard on the top you can break the glass. These are some things that you need to pay extra attention to when you own a ceramic smooth top stove. Another thing you don't want to do is turn on a burner without a pan on it and leave it run. A few seconds you'll be fine. I'm talking about turning it on, then doing other kitchen duties while that burner is just blaring away at the glass with no pot on it. Your just asking for a $300 plus repair. And that's not being very green now is it? If I have left anything out that you feel should be in there, just let me know in the comments, I'll edit the post and include it. Now on to cleaning the top. The good old green scratchy pad is the best for big messes. If you have something burned on there use that along with some dish soap and put some elbow grease on it. That will take off most everything. Now if you've finally decided after 10 years to finally clean the top, you may have to resort to more drastic measures. This is where some common sense will go along way. After you have scrubbed away with your green scratchy, for an hour and you still have rings around the burner, grab a razor blade scraper. You can use this on the top, it will be fine. Just keep the blade flat and make sure its new. 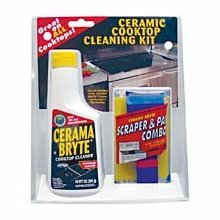 Cover the top with some cerama-bryte, spread it around and go to town scraping off the really hard to get off burned on grease and grime. Be patient and don't use power tools, I've seen it all, trust me. Thanks for taking the time to read my post! Please comment if you have any questions or if you just have anything to add. what would make a glass top stove break when cleaning it? I have a glass top stove I use outside in Colorado. Great in spring summer and fall, but do I rung the risk of shattering the top using the stove top in winter? outside temps in the 10-20's daytime below 0 at night?? I have a crack in my stove top and the repair guy said it will be a few weeks. Is it okay to use the uncracked burners? 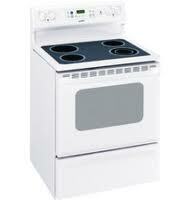 Best Appliance Repair Company in Los AngelesAppliance Repair services in Los Angeles at (800)350-0224.